West Lakes Academy in Egremont, Cumbria, provides education to children from 11 to 18 years old. We opened in September 2008 and moved into our brand new building in March 2012. As an academy, we are independently governed but state funded and free to all children. 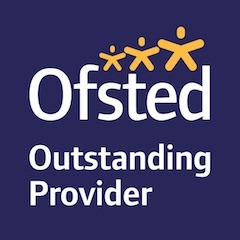 Like other schools, we are subject to normal OFSTED inspections and work with the Local Education Authority in relation to issues such as admissions. Our vision is to succeed in ‘Changing Lives through Learning’ by providing the very best possible educational opportunities for young people in West Cumbria. We have extremely high hopes for all of our students and our highly skilled and enthusiastic members of staff encourage children to have high ambitions and to work hard to achieve these. Students and staff benefit from fantastic facilities, outstanding IT resources, a £300k engineering facility, performing and expressive arts suite and an eco science lab in our brilliant £26m building. All this makes West Lakes Academy one of the best possible places in which to study. Our excellent environment helps keep motivation and morale high and allows us to deliver modern approaches to learning using the latest technologies. Three sponsors were involved in the setting up of West Lakes Academy in 2008 – Sellafield Ltd, the Nuclear Decommissioning Authority (NDA) and the University of Central Lancashire (UCLan). All three share an ambition and motivation to support the education and development of young people in West Cumbria and to ensure that West Cumbria is an attractive, vibrant and aspirational place in which to live and work. The Nuclear Decommissioning Authority and Sellafield Ltd. are two of the most important energy organisations in the UK and two of Cumbria’s largest employers; they provide invaluable resources and industry support to our specialism in science. We receive excellent higher education expertise from our education sponsor, the University of Central Lancashire. The academy was last inspected by Ofsted in March 2017 and was judged to be Grade 1 – Outstanding in all areas of the inspection. Previously it was judged Good in February 2013. This year we celebrated outstanding examination results. The average grade at A Level has increased from a C to a B and this would place the academy in the top 25% nationally. The progress made in applied general subjects has also greatly improved. The academy’s progress score of +0.80 for applied general subjects has increased from +0.35 the previous year and this would maintain the academy’s position in the top 10% nationally for vocational qualifications.Our GCSE results were also our best ever with 71 per cent gaining five A* to C and equivalent grades including English and maths. The hard work of our pupils and the dedication of our skilled members of staff enable us to provide students with the education they need for a successful and happy future. West Lakes Academy is a highly successful mixed comprehensive school for students from 11-18 years old. Our students are a pleasure to work with; intellectual, empathetic, enthusiastic and fun; they continually push themselves to break down barriers and achieve success – they are an absolute pleasure to work with every single day. We also have an incredibly dedicated, skilful and passionate staff who’s aim is to deliver the best educational experience to our students, to help them change lives through learning and to ensure all doors always remain open to them, empowering them to achieve their aspirations. Our expectations are high, and as a result of an exciting curriculum and enriching extra-curriculum opportunities, our students acquire the skills of leadership and teamwork, become confident and enthusiastic learners and responsible and valuable champions of the future.